The statement came in the backdrop of widespread fresh protests happening in several towns of the Oromia regional state, a state reeling from persistence anti-government protests that first began in April-May 2014. Popularly known as #OromoProtests, fresh protests re-appeared in the same region in November 2015, eventually forcing authorities in Ethiopia to declare a ten month old state of emergency in Oct. 2016. About a dozen people were killed last week in a day long anti-government protests in Shashemene town, 250 km south east of Addis Abeba, in west Arsi zone of the Oromia regional state and Bookeeti town, west Hararghe zone of the Oromia region in eastern Ethiopia, where more than 30 were also wounded. Additional protests were also held in Ambo, 125 km west of Addis Abeba and one of the epicenters of the 2014-2016 Oromo protests. A video received by Addis Standard, which was later on verified, show that thousands of young protesters marching through the city chanting “down, down Woyane” in reference to TPLF, the all too powerful member of Ethiopia’s ruling coalition, EPRDF. Except for Shashemene and Bokeeti, last week’s protests held in several cities from west to south and south west parts of the regional state went peaceful. Some pictures circulating on social media show the regional state police force in the midst of the protesting youth with no sign of hostilities while other pictures show unprecedented move by the region’s police force in joining the protests. Protesters are also waiving a flag associated with the Oromo Liberation Front (OLF), a rebel group branded as a terrorist organization by the Ethiopian parliament. However, although largely peaceful as compared to the 2016 protests in which close to 700 were killed, some of these protests did end up in violence yesterday and today. A young man called Dajene Bokena was killed in Muke Turi, about 90km west of Addis Abeba in North Shewa zone of the Oromia regional state; Muke Turi remains tense until this afternoon. Three of the five people wounded in Gebre Guracha, about 160 km from the capital and another city in North Shewa zone, have died between today and yesterday, Diriba Tolessa, an eye witness, told Addis Standard by phone. “They were all hit by a police bullet,” said Diriba. “All such reports merit transparent investigation that allows those responsible for violence to be held accountable,” the statement from the US embassy said. Unlike previous protestors however, no one appears to take responsibilities for organizing the fresh protests, and online Oromo activists have distanced themselves. The Ethiopian social media space is also rife with speculations and assumptions on the motives behind these protests with some claiming that it is nothing but a saboteur orchestrated by members of the OLF to undermine the current government in the region led by Lemma Megerssa. 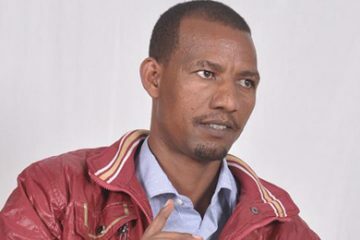 Lemma’s leadership is enjoying a widespread support in the region for some of the bold moves it began to take to address age old grievances of the Oromo people.